keep the policy repo rate under the liquidity adjustment facility (LAF) unchanged at 6.25 per cent. Consequent upon the narrowing of the LAF corridor as elaborated in the accompanying Statement on Developmental and Regulatory Policies, the reverse repo rate under the LAF is at 6.0 per cent, and the marginal standing facility (MSF) rate and the Bank Rate are at 6.50 per cent. The decision of the MPC is consistent with a neutral stance of monetary policy in consonance with the objective of achieving the medium-term target for consumer price index (CPI) inflation of 4 per cent within a band of +/- 2 per cent, while supporting growth. The main considerations underlying the decision are set out in the statement below. 2. Since the MPC met in February 2017, indicators of global growth suggest signs of stronger activity in most advanced economies (AEs) and easing of recessionary conditions in commodity exporting large emerging market economies (EMEs). In the US, high frequency data indicate that the labour market, industrial production and retail sales are catalysing a recovery in Q1 of 2017 from a relatively subdued performance in the preceding quarter. Nonetheless, risks to higher growth have arisen from non-realisation or under-achievement of macroeconomic policies. In the Euro area, the manufacturing purchasing managers’ index (PMI) rose to a six-year high in March amidst improving consumer confidence and steadily strengthening employment conditions. In the Japanese economy, nascent signs of revival are evident in the form of falling unemployment, improving business sentiment on fixed investment, and rising exports helped by the depreciation of the yen; however, deflation risks linger. 3. For EMEs, the outlook is gradually improving, with indications that the slowdown characterising 2016 could be bottoming out. In China, supportive macroeconomic policies, surging credit growth and a booming property market have held up the momentum of growth albeit amidst concerns about financial stability and capital outflows. In Brazil, hardening commodity prices are providing tailwinds to reforms undertaken by the authorities to pull the economy out of recession, although financial fragilities remain a risk. Russia is benefiting from the firming up of crude prices and it is widely expected that growth will return to positive territory in 2017. 4. Inflation is edging up in AEs to or above target levels on the back of slowly diminishing slack, tighter labour markets and rising commodity prices. Among EMEs, Turkey and South Africa remain outliers in an otherwise generalised softening of inflation pressures. Global trade volumes are finally showing signs of improvement amidst shifts in terms of trade, with exports rising strongly in several EMEs as well as in some AEs whose currencies have depreciated. 5. International financial markets have been impacted by policy announcements in major AEs, geo-political events and country-specific factors. Equity markets in AEs were driven up by reflation trade, stronger incoming data and currency movements. Equity markets in EMEs had a mixed performance, reflecting domestic factors amidst a cautious return of investor appetite and capital flows. In the second half of March, dovish guidance on US monetary policy lifted equities across jurisdictions, especially in Asia, as the reach for EME assets resumed strongly, although doubts about the realisation of US policies, Brexit and softer crude prices tempered sentiments. Bond markets have mirrored the uncertainty surrounding the commitment to fiscal stimulus in the US and yields traded sideways in AEs, while they generally eased across EMEs. In the currency markets, the US dollar’s bull run lost steam by mid-March. EME currencies initially rose on optimism on the global outlook, but some of them have weakened in recent days with the fall in commodity prices. Crude prices touched a three-month low in March on rising shale output and US inventories. Food prices have been firming up globally, driven by cereals. 6. On the domestic front, the Central Statistics Office (CSO) released its second advance estimates for 2016-17 on February 28, placing India’s real GVA growth at 6.7 per cent for the year, down from 7 per cent in the first advance estimates released on January 6. Agriculture expanded robustly year-on-year after two consecutive years of sub-one per cent growth. In the industrial sector, there was a significant loss of momentum across all categories, barring electricity generation. The services sector also slowed, pulled down by trade, hotels, transport and communication as well as financial, real estate and professional services. Public administration, defence and other services cushioned this slowdown. To some extent, government expenditure made up for weakness in private consumption and capital formation. 7. Several indicators are pointing to a modest improvement in the macroeconomic outlook. Foodgrains production has touched an all-time high of 272 million tonnes, with record production of rice, wheat and pulses. The record production of wheat should boost procurement operations and economise on imports, which had recently surged. Rice stocks, which had depleted to close to the minimum buffer norm, have picked up with kharif procurement. The bumper production of pulses has helped in building up to the intended buffer stock (i.e., 20 lakh tonnes) and this will keep the price of pulses under check – the domestic price of pulses has already fallen below the minimum support price (MSP). 8. Industrial output, measured by the index of industrial production (IIP), recovered in January from a contraction in the previous month, helped by a broad-based turnaround in manufacturing as well as mining and quarrying. Capital goods production improved appreciably, although this largely reflected the waning of unfavourable base effects. Consumer non-durables continued, however, to contract for the second successive month in spite of supportive base effects. Thus, investment and rural consumption demand remain muted. The output of core industries moderated in February due to slowdown in production of all the components except coal. The manufacturing purchasing managers’ index (PMI) remained in expansion mode in February and rose to a five month high in March on the back of growth of new orders and output. The future output index also rose strongly on forecasts of pick-up in demand and the launch of new product lines. The 77th round of the Reserve Bank’s industrial outlook survey indicates that overall business sentiment is expected to improve in Q1 of 2017-18 on the back of a sharp pick up in both domestic and external demand. Coincident indicators such as exports and non-oil non-gold imports are indicative of a brighter outlook for industry, although the sizable under-utilisation of capacity in several industries could operate as a drag on investment. 9. Activity in the services sector appears to be improving as the constraining effects of demonetisation wear off. On the one hand, rural demand remains depressed as reflected in lower sales of two- and three-wheelers and fertiliser. On the other hand, high frequency indicators relating to railway traffic, telephone subscribers, foreign tourist arrivals, passenger car and commercial vehicles are regaining pace, thereby positioning the services sector on a rising trajectory. After three consecutive months of contraction, the services PMI for February and March emerged into the expansion zone on improvement in new business. 10. After moderating continuously over the last six months to a historic low, retail inflation measured by year-on-year changes in the consumer price index (CPI) turned up in February to 3.7 per cent. While food prices bottomed out at the preceding month’s level, base effects pushed up inflation in this category. Prices of sugar, fruits, meat, fish, milk and processed foods increased, generating a sizable jump in the momentum in the food group. In the fuel group, inflation increased as the continuous hardening of international prices lifted domestic prices of liquefied petroleum gas during December 2016 – February 2017. Kerosene prices have also been increasing since July with the programmed reduction of the subsidy. Adapting to the movements in these salient prices, both three months ahead and a year ahead households’ inflation expectations, which had dipped in the December round of the Reserve Bank’s survey, reversed in the latest round. Moreover, the survey reveals hardening of price expectations across product groups. The 77th round of the Reserve Bank’s industrial outlook survey indicates that pricing power is returning to corporates as profit margins get squeezed by input costs. 11. Excluding food and fuel, inflation moderated in February by 20 basis points to 4.8 per cent, essentially on transient and item-specific factors. In February, favourable base effects were at work in the clothing and bedding sub-group as well as in personal care and effects, the latter also influenced by the disinflation in gold prices. The volatility in crude oil prices and its lagged pass-through are impacting the trajectory of CPI inflation excluding food and fuel. Much of the impact of the fall of US $4.5 per barrel in international prices of crude since early February would feed into the CPI print in April as its cumulative pass-through occurred with a lag in the first week of this month. Importantly, inflation excluding food and fuel has exhibited persistence and has been significantly above headline inflation since September 2016. 12. With progressive remonetisation, the surplus liquidity in the banking system declined from a peak of ₹7,956 billion on January 4, 2017 to an average of ₹6,014 billion in February and further down to ₹4,806 billion in March. 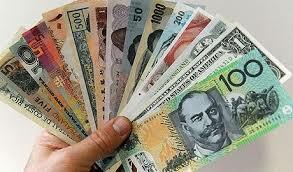 Currency in circulation expanded steadily during this period. Its impact on the liquidity overhang was, however, partly offset by a significant decline in cash balances of the Government up to mid-March which released liquidity into the system. Thereafter, the build-up of Government cash balances on account of advance tax payments and balance sheet adjustment by banks reduced surplus liquidity to ₹3,141 billion by end-March. Issuances of cash management bills (CMBs) under the market stabilisation scheme (MSS) ceased in mid-January and existing issues matured, with the consequent release of liquidity being absorbed primarily through variable rate reverse repo auctions of varying tenors. Accordingly, the average net absorption by the Reserve Bank increased from ₹2,002 billion in January to ₹4,483 billion in March. The weighted average call money rate (WACR) remained within the LAF corridor. The maturing of CMBs and reduced issuance of Treasury bills leading up to end-March has also contributed to Treasury bill rates being substantially below the policy rate. 13. Merchandise exports rose strongly in February 2017 from a subdued profile in the preceding months. Growth impulses were broad-based, with major contributors being engineering goods, petroleum products, iron ore, rice and chemicals. The surge in imports in January and February 2017 largely reflected the effect of the hardening of commodity prices such as crude oil and coal. Non-oil non-gold imports continued to grow at a modest pace, though capital goods imports remained sluggish. With imports outpacing exports, the trade deficit widened in January and February from its level a year ago, though it was lower on a cumulative basis for the period April-February 2016-17. 14. Balance of payments data for Q3 indicate that the current account deficit for the first three quarters of the financial year narrowed to 0.7 per cent of GDP, half of its level a year ago. For the year as a whole, the current account deficit is likely to remain muted at less than 1 per cent of GDP. Foreign direct investment (FDI) has dominated net capital inflows during April-December, with manufacturing, communication and financial services being the preferred sectors. Turbulence in global financial markets set off a bout of global risk aversion and flight to safe haven that caused net outflows of foreign portfolio investment (FPI) during November 2016 to January 2017. The tide reversed with the pricing in of the Fed’s normalisation path and improvement in global growth prospects. FPI flows turned positive in February and welled up into a surge in March, especially in debt markets relative to equity markets (which had been the dominant recipient until February). This reversal appears to have been driven by stable domestic inflation, better than expected domestic growth, encouraging corporate earnings, clarity on FPI taxation, pro-reform budget proposals and state election results. The level of foreign exchange reserves was US$ 369.9 billion on March 31, 2017. 15. Since the February bi-monthly monetary policy statement, inflation has been quiescent. Headline CPI inflation is set to undershoot the target of 5.0 per cent for Q4 of 2016-17 in view of the sub-4 per cent readings for January and February. For 2017-18, inflation is projected to average 4.5 per cent in the first half of the year and 5 per cent in the second half (Chart 1). 16. Risks are evenly balanced around the inflation trajectory at the current juncture. There are upside risks to the baseline projection. The main one stems from the uncertainty surrounding the outcome of the south west monsoon in view of the rising probability of an El Niño event around July-August, and its implications for food inflation. Proactive supply management will play a critical role in staving off pressures on headline inflation. A prominent risk could emanate from managing the implementation of the allowances recommended by the 7th CPC. In case the increase in house rent allowance as recommended by the 7th CPC is awarded, it will push up the baseline trajectory by an estimated 100-150 basis points over a period of 12-18 months, with this initial statistical impact on the CPI followed up by second-order effects. Another upside risk arises from the one-off effects of the GST. The general government deficit, which is high by international comparison, poses yet another risk for the path of inflation, which is likely to be exacerbated by farm loan waivers. Recent global developments entail a reflation risk which may lift commodity prices further and pass through into domestic inflation. Moreover, geopolitical risks may induce global financial market volatility with attendant spillovers. On the downside, international crude prices have been easing recently and their pass-through to domestic prices of petroleum products should alleviate pressure on headline inflation. Also, stepped-up procurement operations in the wake of the record production of foodgrains will rebuild buffer stocks and mitigate food price stress, if it materialises. 17. GVA growth is projected to strengthen to 7.4 per cent in 2017-18 from 6.7 per cent in 2016-17, with risks evenly balanced (Chart 2). 18. Several favourable domestic factors are expected to drive this acceleration. First, the pace of remonetisation will continue to trigger a rebound in discretionary consumer spending. Activity in cash-intensive retail trade, hotels and restaurants, transportation and unorganised segments has largely been restored. Second, significant improvement in transmission of past policy rate reductions into banks’ lending rates post demonetisation should help encourage both consumption and investment demand of healthy corporations. Third, various proposals in the Union Budget should stimulate capital expenditure, rural demand, and social and physical infrastructure all of which would invigorate economic activity. Fourth, the imminent materialisation of structural reforms in the form of the roll-out of the GST, the institution of the Insolvency and Bankruptcy Code, and the abolition of the Foreign Investment Promotion Board will boost investor confidence and bring in efficiency gains. Fifth, the upsurge in initial public offerings in the primary capital market augurs well for investment and growth. 19. The global environment is improving, with global output and trade projected by multilateral agencies to gather momentum in 2017. Accordingly, external demand should support domestic growth. Downside risks to the projected growth path stem from the outturn of the south west monsoon; ebbing consumer optimism on the outlook for income, the general economic situation and employment as polled in the March 2017 round of the Reserve Bank’s consumer confidence survey; and, commodity prices, other than crude, hardening further. 20. Overall, the MPC’s considered judgement call to wait out the unravelling of the transitory effects of demonetisation has been broadly borne out. While these effects are still playing out, they are distinctly on the wane and should fade away by the Q4 of 2016-17. While inflation has ticked up in its latest reading, its path through 2017-18 appears uneven and challenged by upside risks and unfavourable base effects towards the second half of the year. Moreover, underlying inflation pressures persist, especially in prices of services. Input cost pressures are gradually bringing back pricing power to enterprises as demand conditions improve. The MPC remains committed to bringing headline inflation closer to 4.0 per cent on a durable basis and in a calibrated manner. Accordingly, inflation developments have to be closely and continuously monitored, with food price pressures kept in check so that inflation expectations can be re-anchored. At the same time, the output gap is gradually closing. Consequently, aggregate demand pressures could build up, with implications for the inflation trajectory. 21. Against this backdrop, the MPC decided to keep the policy rate unchanged in this review while persevering with a neutral stance. The future course of monetary policy will largely depend on incoming data on how macroeconomic conditions are evolving. Banks have reduced lending rates, although further scope for a more complete transmission of policy impulses remains, including for small savings/administered rates1. It is in this context that greater clarity about liquidity management is being provided, even as surplus liquidity is being steadily drained out. Along with rebalancing liquidity conditions, it will be the Reserve Bank’s endeavour to put the resolution of banks’ stressed assets on a firm footing and create congenial conditions for bank credit to revive and flow to productive sectors of the economy. 22. Six members voted in favour of the monetary policy decision. The minutes of the MPC’s meeting will be published by April 20, 2017. 23. The next meeting of the MPC is scheduled on June 5 and 6, 2017.